Residential Sewer Vallejo, CA | A+ Waterworks, Inc.
We don’t often think about our residential sewer in Vallejo, CA since the pipes are located underground. For this reason, problems in a residential sewer in Vallejo, CA can confuse the typical homeowner and lead to unnecessary excavation work, especially if the issue had been incorrectly diagnosed. Luckily, there are companies that specialize in fixing problems in any residential sewer in Vallejo, CA. A+ Waterworks is one of them. We are a family-owned and operated business that has been providing top-notch commercial and residential sewer cleaning and repair since 1994. Our team is always prompt and accurate when handling issues in a sewer in Vallejo, CA. Since a sewer in Vallejo, CA is underground, roots from trees and shrubs can get into the pipes and grow there. More often than not, the roots get inside the pipe through multiple points. If neglected, the roots may grow until they break the pipe. Repairing this problem in your residential sewer in Vallejo, CA depends on the severity of the root infiltration. If the roots have completely blocked the residential sewer in Vallejo, CA, then the entire sewer line needs to be replaced. However, if the roots haven’t grown much, the invaded residential sewer in Vallejo, CA can be given a chemical treatment. No matter how serious the root invasion has gotten, A+ Waterworks can expertly handle the problem. Unlike tree roots, a crushed or disconnected pipe may only affect one area of a sewer in Vallejo, CA. This damage may be caused by improper backfill or even rocks placed above the pipe. Another reason for this issue is if the pipes in the residential sewer in Vallejo, CA had been made of inferior materials, which can break easily. Locating the defective pipe in the commercial or residential sewer in Vallejo, CA is vital to fixing this issue. Our sanitation specialists are fully equipped with the right tools, technology, and skill to pinpoint the position of the defective pipe. A residential sewer in Vallejo, CA works by using a drain line to connect to the city sewers. Drain lines don’t use mechanical devices such as pumps and rely solely on gravity to make the water of the sewer in Vallejo, CA flow into the city’s larger network of sewers. A back pitched pipe in your residential sewer in Vallejo, CA is a complication that is difficult to address. It may even indicate a greater problem with your entire drainage system. 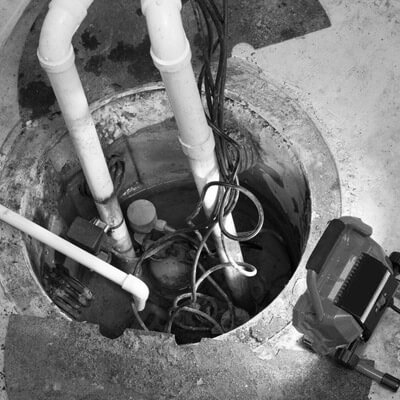 Before all that happens, you should have your sewer in Vallejo, CA checked by our sanitation service professionals. We are more than qualified to take care of your plumbing problems and we offer services to the Vallejo, California area. You can trust us to analyze the issue carefully and execute the repair flawlessly. Do You Have Issues in Your Residential Sewer in Vallejo, CA? Don’t let the issues in your commercial or residential sewer in Vallejo, CA get worse. Contact A+ Waterworks today. You can call us at 707-255-5270, or send us an e-mail at [email protected] If you want to visit us, our office at 194 Camino Oruga, Ste. 13, Napa, CA 94558 is open on weekdays from 8:30 AM to 5:00 PM. We specialize in a variety of residential and commercial plumbing services, and never sacrifice quality for quantity. From fixing minor leaks in houses to maintaining the plumbing system of an industrial warehouse facility, our plumbers will allot the same amount of care and attention to every city project we do. A+ Waterworks looks forward to creating long-term relationships with every client by ensuring customer satisfaction with every plumbing order. After learning about the importance of our services, it’s time to get in touch! We serve all city residential and commercial clients in North Bay, CA.